1. True North Cap from Bille The Kid. 2. Nothing’s Black and White Panda Poster from My Sweet Prints. 3. 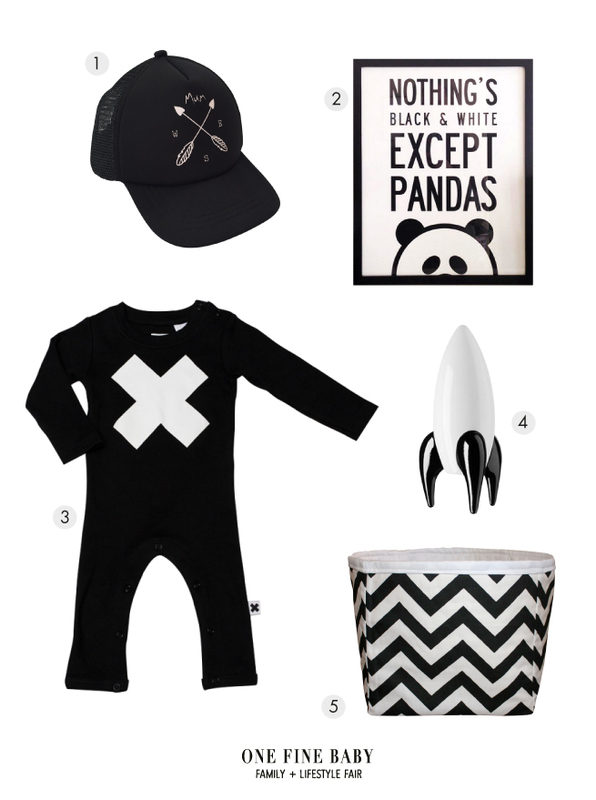 X Romper from Hux Baby. 4. Playsam White Rocket from Royal Design. 5. Black and White Chevron Storage Box from Miss Lilly.